Dancehall artiste Aidonia, born Sheldon Aitana Lawrenceis the second of four children for his mother who was a teacher, and his father an ex-soldier. Originally from the Red Hills Road area, he took his stage name from the first two letters in his middle name ‘Aitana’, and ‘Donia’, a name which he earned while playing football. He attended Mona Heights Primary, then Meadowbrook High School. It was from as far back as 1994, while still attending Meadowbrook, that his special love for music began. After watching a tape of Sting 1993 with the infamous clash between Beenie Man, and his icon Bounty Killer, he immediately got his mind set on becoming a deejay. Soon after watching the Sting 1993 tape, he began re-enacting the clash for classmates and friends, many of whom recognised his talent from as far back as then. He started writing his own lyrics and formed the JAG1 (Jah A Guide) crew with friends. JAG1 or JOP (Jag One Productions) were often referred to when they were performing at school concerts and fetes. After leaving school, he relocated to the United States with his father, and started working. For the next three years, he would visit Jamaica regularly, and did a few ‘minor’ things on the dancehall scene in New York. While in New York, he was encouraged by some to return to Jamaica in order to get his career going; he did just that. He met Mr. G (then known as Goofy) and recorded his first single ‘Many a Dem’ in October 2003 on Goofy’s Young Blood label. Soon after, he began working with Rod Pinnock of Orizen entertainment, and in early 2004, he became a popular performer at a weekly event called “Battle Thursdays”, where he got some recognition and also had an opportunity to work on his performance skills. In the latter part of 2004, he was approached by Cordell “Skatta”‘ Burrell who invited him to record at his studio. Two months later, Aidonia had his first bonafide hit, the song “Lolly” which was done on Skatta’s Irish Dance riddim. In October 2005, news broke that “Lolly” was included on VP Records’ annual Strictly The Best (Volume 33) compilation. More hits followed from 2005 into 2006, including “Chicken Head”, “Prayer”, “Inna Di Ghetto”, “Eagle”, “Ooku”, “Unknown Assailant” and “Kingfish Ah Come”. 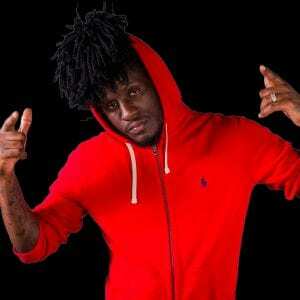 He also fulfilled one of his goals of working with Bounty Killer, when he recorded “Sen Fi Dem”. After being named “Deejay Of The Year” in 2006 by the Jamaica STAR, one of Jamaica’s national tabloids, Aidonia over the past decade has evolved into an indomitable force on the entertainment scene scoring major hits such as “Nuh Man To Mi Spliff”, Nuh Boring Gyal, Fi Di Jockey, “Tan Tuddy” among a plethora of others while achieving a number of noted feats including the launch of a new initiative geared towards educating youths and providing support for the disenfranchised; the “One Voice Foundation” and “Sheldon Lawrence Scholarship” program. Forming one of several nodes of the Foundation, the Scholarship is geared towards assisting students of the Maxfield Park Primary School with their educational challenges as they transition into high school. Worth almost $300,000 Jamaican dollars the scholarship focuses on five students at the grade six level. The top student who exemplify good behaviour, attitude, maintain the highest grades and overall progress throughout their primary school tenure and passes their GSAT Examinations receives an annual grant for high school along with book voucher annually to offset school expenses. Some of his other major accomplishments includes receiving a honourable mention from the prestigious Billboard Magazine for his 2015 EP titled ‘Project Sweat’, that year he also nabbed three nominations at the 2016 Youth View Awards (YVA). The JOP head honcho was nominated in the categories for ‘Hottest Summer Song of 2015’ with “Nuh Boring Gyal”, the single also got a nod for ‘Favourite Local Music Video’, while his third came in the category for ‘Favourite Local Male Artiste of the Year’.